Did you watch the Super Bowl yesterday? What was your favorite part? The half-time show? Madonna rocked it, didn’t she? Did you have a Super Bowl Party or a special dinner to celebrate? Even though the Dallas Cowboys were not playing in the game, we celebrated football yesterday. 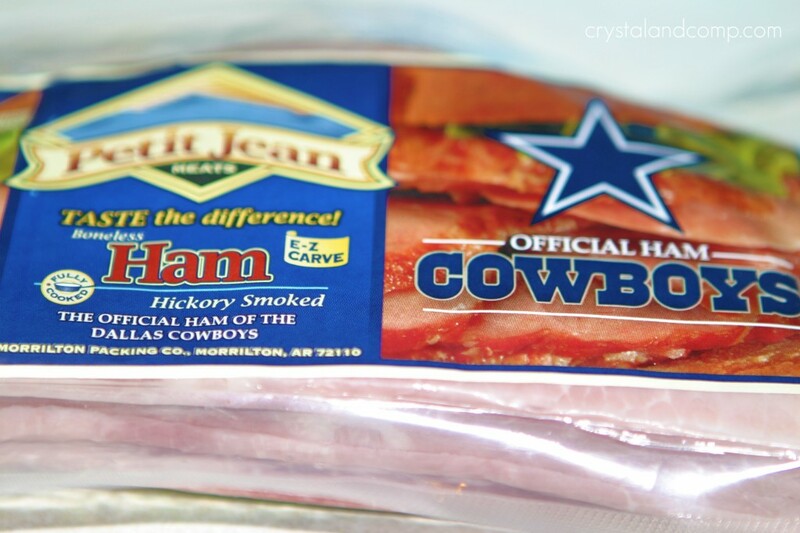 Garrett and I made a trip to Walmart to grab some Petit Jean ham to make a crowd pleasing dinner that is perfect for a potluck or party when you’re feeding a crowd. 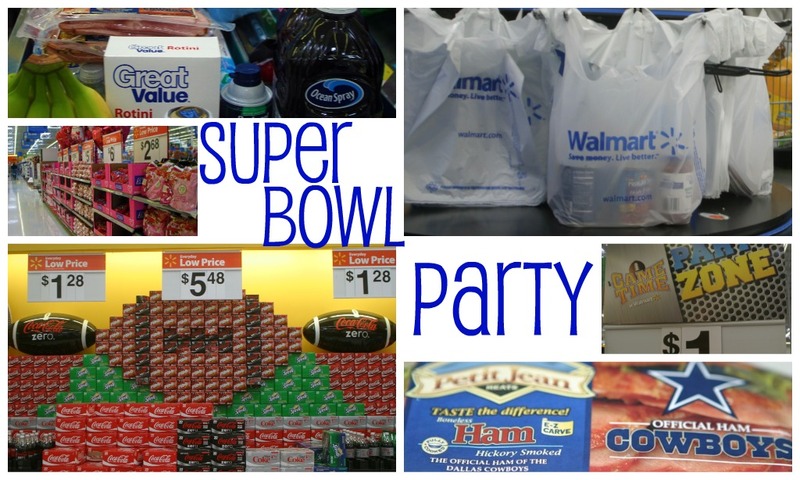 Walmart was ready for the Super Bowl crowd and everything screamed football. We found our main ingredient. I knew exactly what I wanted to make with it. A meal fit for a party and a crowd. There is a yummy recipe that makes it on my weekly meal plan on a regular basis. Especially this time of year when casseroles and oven baking are in order. We made a Ham and Cheese Pasta Bake, and the kids enjoyed helping. I have found that when the kids help with some of the cooking process, they are less likely to complain about what’s for dinner (because they want to eat their creation) and more likely to clean their plates. We chopped ham, cooked mushrooms, made a roux and we boiled pasta. This comes together really quickly. Then, we tossed it all in a casserole dish and popped it in the oven. When dinner was done, we gobbled it up and rooted for our favorite team. We all agreed the ham was tender and tasty, not fatty and weird like some pre-cooked ham can be. Since my husband was born in Brooklyn, New York, most were cheering for the Giants. Momma was rooting for Madonna. Have leftover ham or need some ham recipes? I have a list of 20 ways to use up ham leftovers. 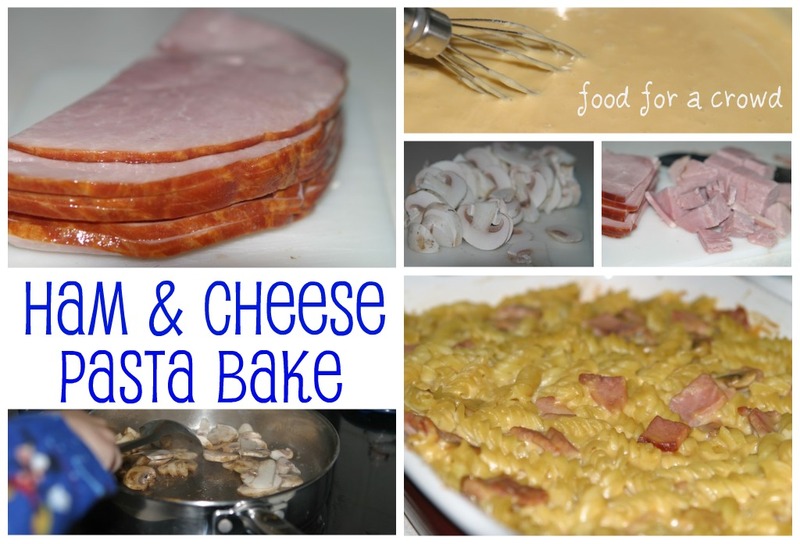 Want the recipe for the Ham and Cheese Pasta Bake? Remember, I am not the creator of this recipe, but my family LOVES it! Mix together 1 C milk and flour in a large measuring cup. Saute the mushrooms in a large skillet with a little olive oil or butter, if necessary. When the mushrooms are cooked place them with the ham and set aside in a bowl. In your now empty skillet pour the milk mixture into the pan. Stir constantly, adding additional milk to reach desired thickness. Slowly add in up to two cups additional milk while using a whisk and making a roux. Add in ¾ c cheese and keep whisking. I have even added all the cheese at this time, but then you will not have any shredded cheese to top the casserole with. 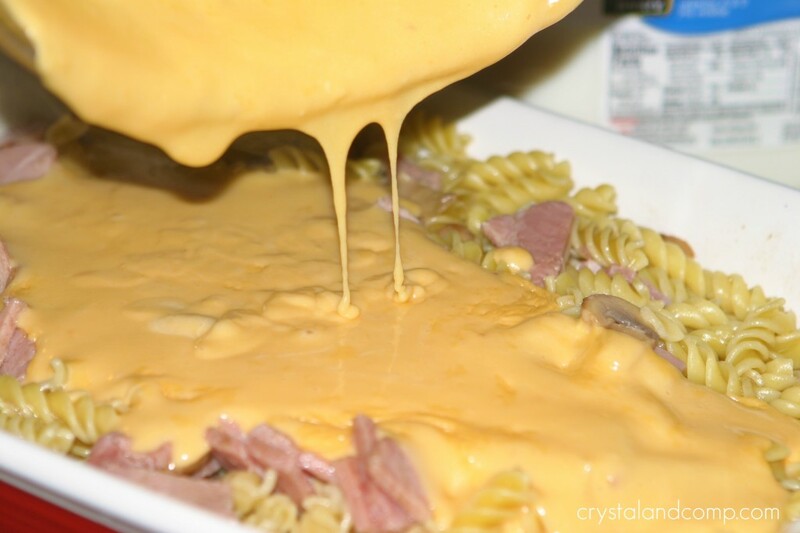 Place your ham mixture and pasta in the bottom of a casserole dish and combine well. Pour the cheese mixture over top. Top when remaining shredded cheese. Bake for 10-20 minutes at 300 degrees until everything is well heated. I have even baked it at 350 degrees. You can view all the pictures from our shopping trip over on Goolge+. 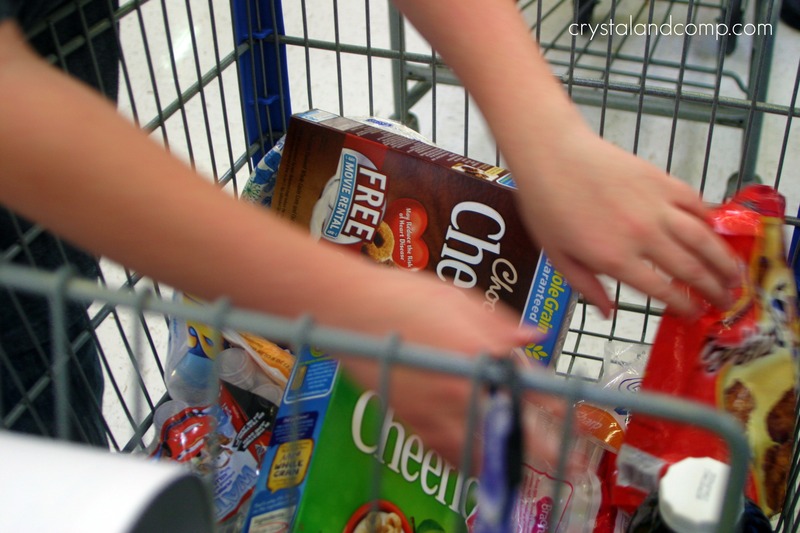 This shop has been part of a social shopper insights study for Collective Bias #CBias. This looks like a great recipe! 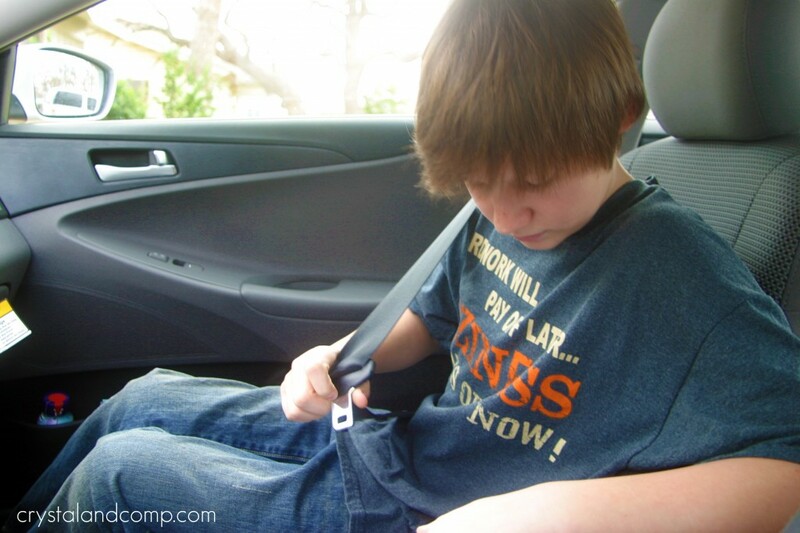 It’s one that my kids would like and easy to make allergy friendly!! Meredith, this is a very easy recipe to convert according to allergy needs. My kids love it! Thanks for linking this up in my Happy Friday #mushroom event today! Yummy dish, chick! I gave your post a pin using #txbacon hashtag. Thanks for pinning and it is a tasty dish that is very loved at my house. 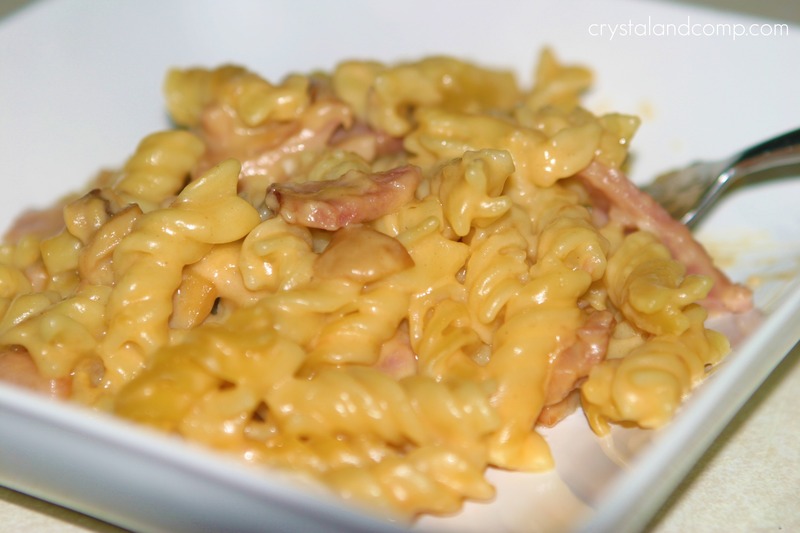 Crystal, Thank you so much for sharing your great Ham Casserole with Full Plate Thursday. Hope you are having a great Spring week end and come back to see me real soon! I’m so glad you enjoyed the ham and pasta bake! It’s a favorite at our house.